This workshop will be a practical approach to interdisciplinary work and collaboration. Working together on a range of games and creative tasks we will experiment with what our own art forms have to offer, how to take steps outside our discipline's comfort zone, and the different ways that multiple artists can contribute to work. We will be working physically for some of the session so wear comfortable clothing. If you would like to – bring a thing! This could be pretty much anything (no glass please, for safety)– an instrument, an item of clothing, cling film, a potato, whatever you want! 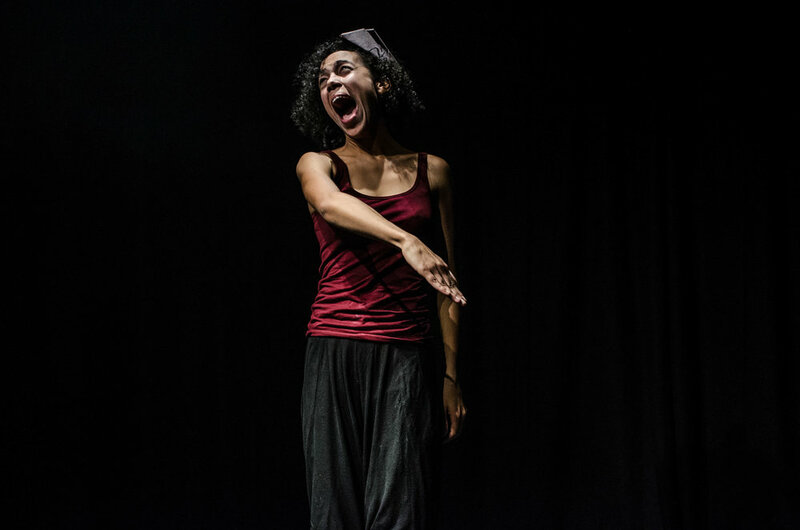 UKYA Artist Ambassador Madeline Shann is a theatre maker, choreographer, writer and performer. She performs in dance and theatre pieces, and she makes her own live work and film. She also collaborates on work with other artists and companies.